Since their debut, the ghouls and Mansters™ of Monster High™ have been showcasing their freaky fabulous flaws with scary cool style and hair-raising adventures. From the howlways of school to the catacombs below, from Scaris™ to Hauntlywood™, from picture day to dances, these children of monsters have entertained fans with their unique personalities and stories. 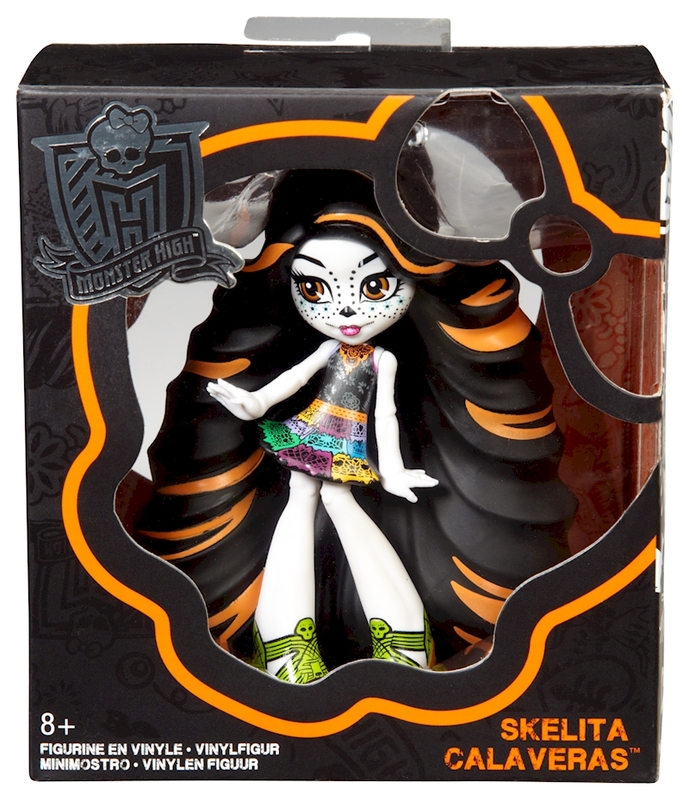 Now, favorite Monster High™ characters are available in a new fangtastic form ideal for monster display! 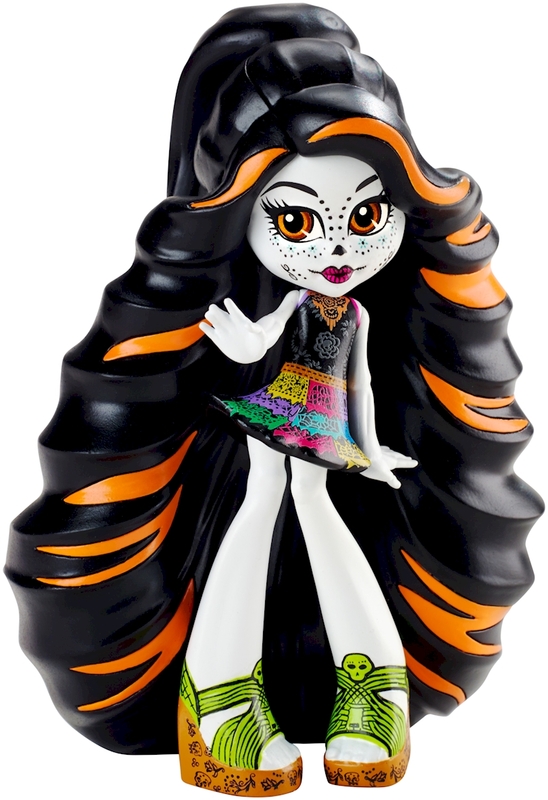 Molded in vinyl, this immobile Skelitas Calaveras™ figure is easily recognized in her signature colorful outfit that fans will recognize from her original introduction. 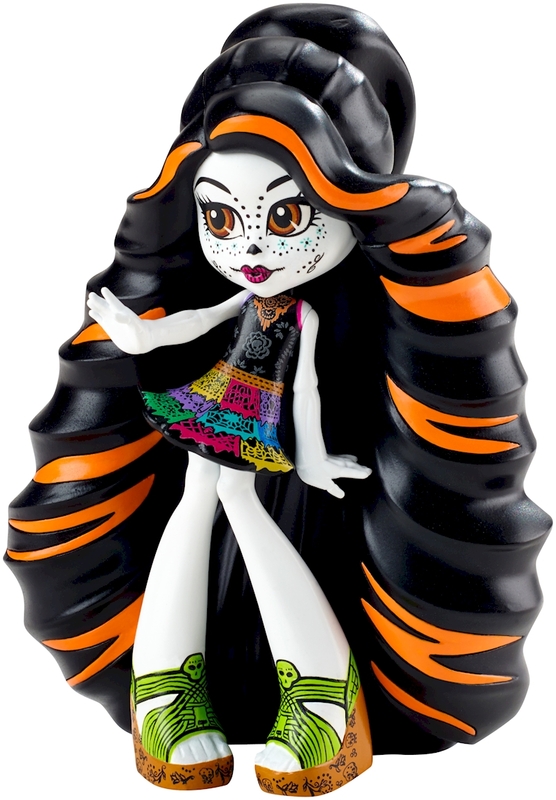 A dynamic pose captures her unique personality, and creepy cool details highlight her scaritage as the daughter of Los Eskeletos. Collect other ghouls and Mansters™ for full attendance (each sold separately). Colors and decorations may vary.